At the heart of every Jezebel is a narcissistic personality - and if you think that narcissism is on the rise, you're right, especially among millennials and it's getting worse all the time. 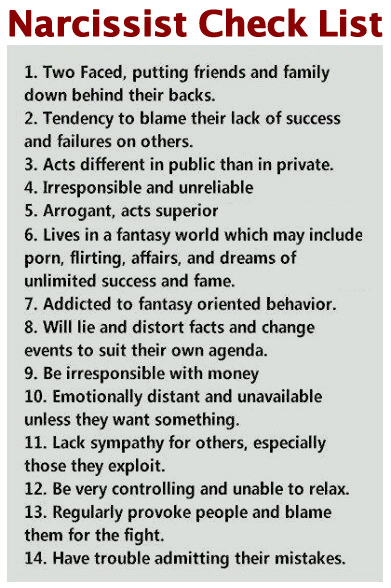 A study of 37,000 college students (disclosed in the book, "The Narcissism Epidemic: Living in the Age of Entitlement") indicated that narcissism has risen at an incredible rate since 2000 - more than any other time in psychiatric history. It should be noted that narcissism has been labeled by the American Psychiatric Association as an incurable mental disorder. Narcissism is more than just being extremely self centered or possessing a superiority complex, it's a clinical mental illness in which the afflicted thinks only in terms of themselves, period. They are incapable of feeling remorse, love or any of the deeper emotions that 'normal' humans feel. This is important because when a narcissist gets 'saved', or at least thinks they're saved, they remain mentally unstable and their narcissistic personality still manifests. Although they will praise Jesus from the rooftops they'll be looking out of the corner of their eye to see who is watching them - because it's all about them. When a narcissist becomes a 'Christian' we refer to this as the 'Jezebel spirit', but it really is just the narcissist doing what they do best - being a narcissist. There is no true conversion because a narcissist can never ever admit that they are anything less than perfect, therefore eliminating the need for repentance. No repentance, no salvation. The rise in Jezebels directly correlates with the drastic rise in narcissism. From my own personal experience, I can say that only God can heal this malady. 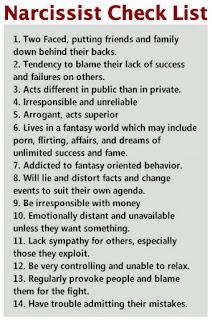 The issue is that the vast majority of Jezebels (or narcissists in general) will not seek help because to do so would mean admitting that they're messed up, something that goes directly against the very core of the narcissist. Instead they will claim to be superior, promoting themselves as prophets or apostles - or a deliverance minister who slays 25 mile tall territorial fallen angels in the second heaven, as recently observed on FB. In fact, FB is infested with these spiritual parasites who bank on ignorance in the body of Christ - because they have no other audience and there's plenty of ignorance to capitalize on. So, the question becomes, how do you deal with a narcissist? There are many suggestions out there including in the book mentioned above. My answer is very simple: don't. You can't change a narcissist by trying to reason with them, giving in to their self-centered ways or loving them into change. It will exhaust you mentally, physically and spiritually. You can't minister to them, except on the extremely rare occasion when they do submit to deliverance. The best all round solution if you find yourself involved with a narcissist - is run away and sever all communication with them...period.